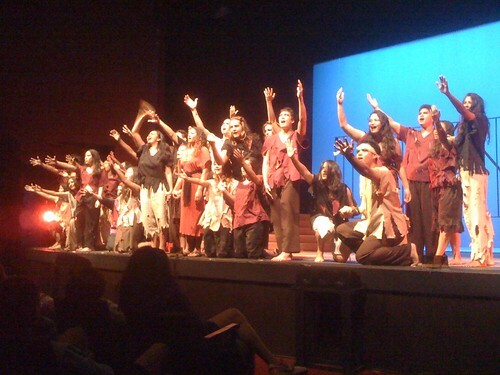 The KS high school performing arts department is currently performing Aida at the high school auditorium. This morning, our middle school was treated to a matinee performance. It was spectacular. The singing, acting, and storytelling were superb. Hard to imagine that this was done by a cast of high school students. It was so good that it held the attention of 7th & 8th graders for the two hours. They absolutely loved it. What made it special for me was seeing a former student, Kea, shining in the spotlight….